Oooh vacation | Be Nice. I’ve been gone for awhile. My apologies. I didn’t mean to slack, I swear! I knew June would fly by, but had no idea how quickly! What was I doing, you may ask? I’ll cover a bit of that in an upcoming post, but the major distraction was a much needed two-week trip to Iowa to see my family and friends – most of whom I hadn’t seen in twenty months. For me, that is just too long! Needless to say, I sadly have seen my vacation come to an end, but have returned much happier and rejuvenated! 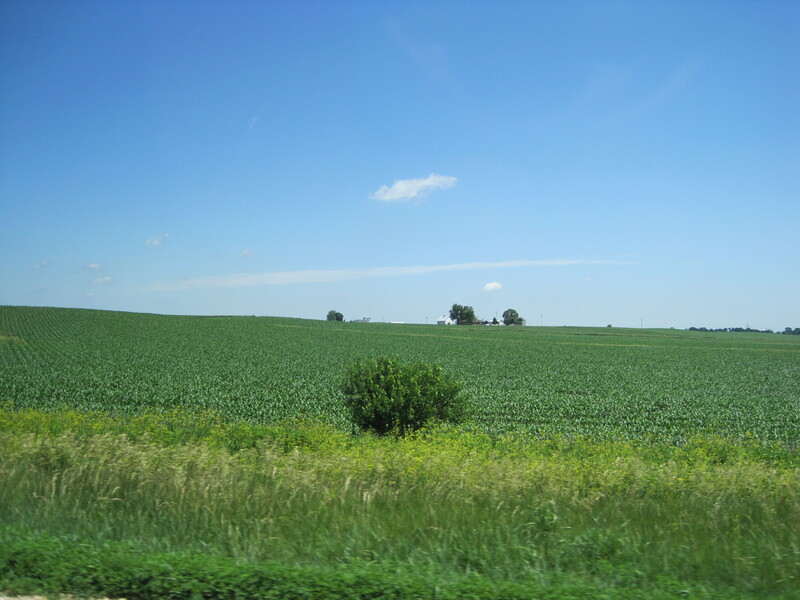 A little Midwestern scenery for you, from my road trip out west! Before I get to one of my planned posts, I’m going to spend a little time sharing a few things that happened in June that I thought were just lovely. But first! My favorite song about Iowa (funny funny and soooo true!) that I had the pleasure of experiencing on our 18 hour drive west and east again! And now… on with it! This entry was posted in To Yourself and tagged Iowa, journey, Midwest by Jen. Bookmark the permalink.